Investing in commercial real estate is a complex exercise, even for the most property savvy among us. It’s something that draws upon three core resources: time, energy and finances. When all three resources are topped up, you’ll be able to leverage and maximise all three for optimum results. But getting from Point A (that’s setting the intention to invest in commercial real estate) to Point B (that’s reaching your investment goals) isn’t always a clear-cut path. Without a proper understanding of the complex factors at work – market knowledge, unique financing arrangements, property management options, lease types and financial planning – investors can risk depleting all three of those essential resources. When you work with a commercial real estate agent, it’s their job to act as your shepherd for property investment. But not all commercial real estate agents are created equal. What’s an independent commercial real estate agent? Otherwise known as a boutique commercial real estate agent, independent agencies are intentionally small on staff size and service offerings, but not on success, results and profits. An independent real estate agency or broker is highly focused, and what they do, they do well. So how can you benefit from working with an independent commercial real estate agent? An independent real estate agent won’t forget your name. There’s a focus on quality service, so you’re more likely to enjoy the benefits of a real estate agent who treats you like a person, not a number. Independent commercial real estate agents have a close, personable and highly rewarding team culture, because everyone works together. They are more client-focused which ensures that their clients will always know and trust the person managing their property. An independent real estate agent makes the time and energy to invest in relationships with the clients they have. They take the time to fully understand your property, your tenants, your financial goals and your concerns, because their attention won’t be spread thinly. When things go wrong, you’ll be prioritised faster than if you were just one of many landlords in the address book. As a result of this, you will always enjoy a high quality service and a long-term rapport with your property manager. What’s more, when you work with a boutique commercial real estate agency like HKC Property Consultants, the directors themselves will look after you. They make sure their clients benefit from their high level of expertise to avoid any potential investment mishaps. The extra expertise, experience and market knowledge ensures tricky situations are resolved quickly with more efficiency, and always in a professional manner. In real estate management, experience is crucial to securing a strong ROI for investors. 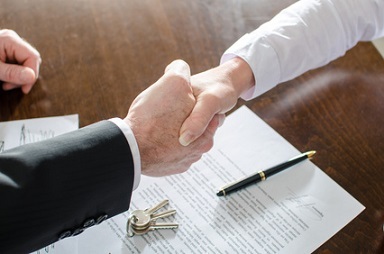 Finding the right commercial property manager for you may be difficult, particularly when the market is full of experienced potential agencies. But if you’re after attentive, client-focused and experienced service, an independent commercial real estate agent will have a proven track-record of going above and beyond expectations. Are you hunting for a high-trust, professional rapport with an experienced commercial property agent? HKC Property Consultants agents share the same values and commitment to sustaining long-lasting client relations. For a complimentary, no obligation consultation with one of our commercial property agents, call HKC Property Consultants now on 04 3128 9440.